1. What Makes Dukascopy Different Than Other Brokers? What are the advantages to trade with Dukascopy? 2. 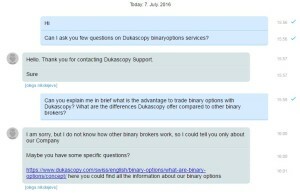 Do Dukascopy Offer Binary Options Trading Education For Newbies? and everything is available on your main site? 3. 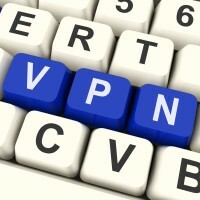 Is there any bonus program for new clients on Dukascopy? How big is the bonus wager? 4. What is the application process? 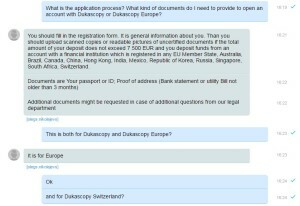 What kind of documents do I need to provide to open an account with Dukascopy Bank or Dukascopy Europe? 5. Do you offer demo accounts to your clients? My conversation with Dukascopy Bank representative was quite informative. At the beginning it didn’t start straight forward and I have to wait few minutes to see the responses of my questions, but later on it seems everything went ok and I received detailed and on time the next responses. Maybe the support was too busy answering other traders, I don’t know, but finally it wasn’t big of a problem. I have to admit that Dukascopy is not an ordinary binary broker and my questions didn’t fit perfectly but I adapted and asked the most important things every one of us should know. The most important for me was that Dukascopy Europe, which is a white label investment brokerage company, fully owned by Swiss Dukascopy Bank SA has fast and easy procedure for opening an account and it applies not only to EU citizens but also anybody who has bank account in one of the following countries: Australia, Brazil, Canada, China, Hong Kong, India, Mexico, Republic of Korea, Russia, Singapore, South Africa, Switzerland and of course all EU states. 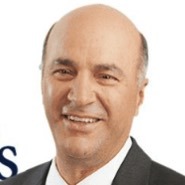 I think Dukascopy despite the fact that it is not an ordinary binary options broker and have a bit more sophisticated trading environment is a safe choice for each trader who would like to jump-start his/her trading career. Visit the Complete Dukascopy Review by Martin Kay.